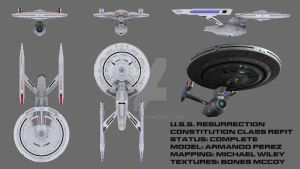 It's a very nice design, it corrects a lot of what I felt was wrong with the enterprises design and finally a thicker connection between the primary and engineering hulls. Thanks!! There are things about the ship though I feel I might need to change one day. Gorgeous design. I would think that this would be a third generation re-fit/upgrade of the original Constitutions during the Excelsior era. 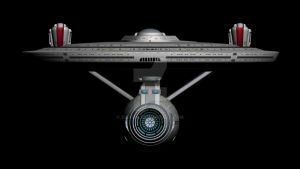 My take on it would be that despite the fact that the new ships were bigger and faster, the Constitution class was so successful that many of those ships were overhauled to keep fleet numbers up and the ships technologically up to date. I am writing a fan film now that takes place in this time period. How would you like to donate the ship design? The Resurrection actually comes around the year 2420, early 25th Century. She would be the last refit of the class. 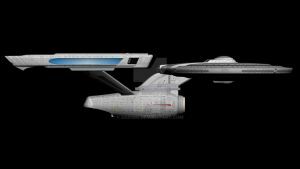 My concept of the ship is that during the height of the Dominion War, all viable Constitution Class hulls were brought back into service, given upgrades and refits to all system to bring them up to the technological level of the rest of the fleet. After the war, any ships that survived remained in service. The refits during the war were mainly to all systems, with very little changes in her appearance if any. The Resurrection represents a major refit to the class, while still preserving her design aspects. As for donating the ship to your story, I don't see why not. I could create a set of custom registries for you if you'd like. Yes, that would be fantastic! Please feel free to keep in touch with me through my email as well. Put starship design or something like that in the subject line. Thanks and I look forward to seeing your work.